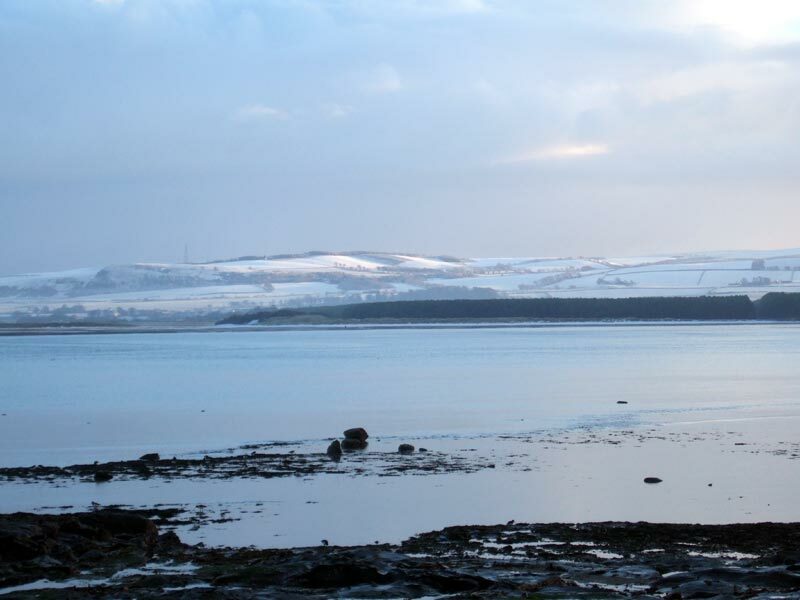 On Saturday the sun shone on the snow-covered fields and hills of East Lothian; it was the perfect day for a walk along that most beautiful of coastlines, where the trees lean out over the sea, and the tide creeps across the salt marsh. I hoped to see some wild duck and perhaps glimpse a roe deer in amongst the pines that surround Tyninghame Bay. John Muir thought of these parks as “places for rest, inspiration, and prayers” and this is surely what we expect from a Country Park next to his birthplace that bears his name. Tyninghame should not disappoint: it has wild beauty, a magnificent setting beneath the Lammermuirs and a wide range of coastal habitats. 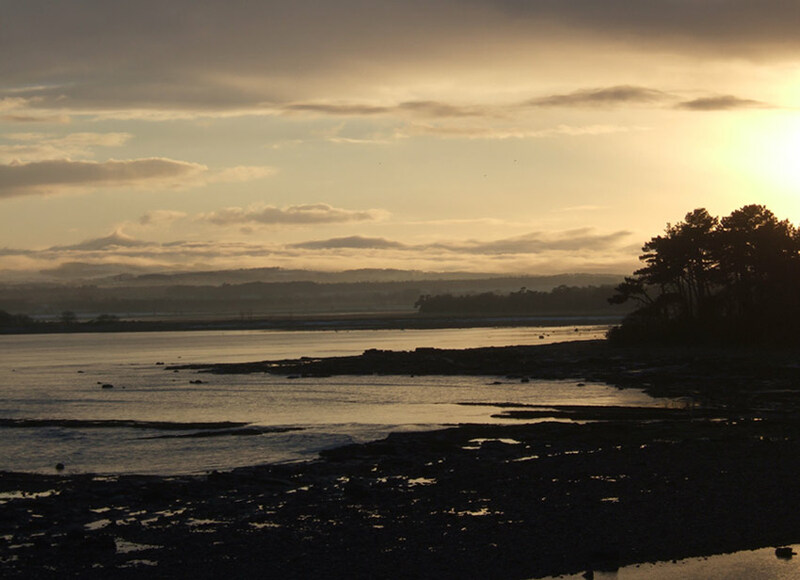 If John Muir were to visit his home in Dunbar today, we can be sure that he would walk out to Tyninghame Bay at the first opportunity to drink from his local ‘fountain of life’. When the sun came out last weekend glinting on the snowfields of East Lothian, it presented the perfect opportunity for town- and country- folk alike to walk again in the peace of the Country Park, except for one thing: the guns were firing without respite, three wildfowler cars were parked up at the head of the footpath where the nature ramblers go, and there was little chance to view undisturbed waterfowl or seek inspiration from prayer. It would be overstating the case to suggest that John Muir Country Park is now a killing field, but under the management of East Lothian Council, it is far from the wildlife sanctuary that would make a fitting tribute to one of their greatest sons. There can be no denying that Tyninghame Bay is still a spectacular estuary with its fringing woods and grasslands nestled beneath the watching hills, flocks of waders out on the flats – oystercatchers, curlew, dunlin and redshank – and along the shoreline ringed plovers and turnstones picking through the shingle and seaweed. In the early spring 30 or 40 shelduck make their home in the bay sieving mud on the edge of the incoming tide, eiders dive for crabs and mussels further out, and occasional flocks of wigeon graze the salt marsh or fly fast across the bay. Whooper swans are also present throughout the year. But as any experienced naturalist will tell you, Tyninghame Bay is also a semi-desert. Its acres of mudflats are empty, its salt marshes denuded, its tidal estuary abandoned. You have to search the silent acres for the Tyninghame birds and its best to bring a telescope as they have learnt to avoid the guns. A great estuary like this should be filled with waders and waterfowl. Instead the edges of the spit are littered with shotgun cartridges and hunter’s camps. John Muir was no stranger to hunting. In his book, ‘The Cruise of the Corwin’, he laments the treatment doled out to our ‘brother beasts’ by hunters and the lack of recognition by the state for the rights of wild creatures which he saw as part of God’s creation. Not all would agree with him. Many exponents of responsible hunting point with ample justification to the conservation value of their sport, one which has been part of the fabric of Scotland from as far back as you may care to look. John Muir also understood that hunter support is needed to protect wildlife habitat, but he himself was unequivocally opposed to hunting and wished it to have no place in Yosemite or the other great American National Parks that he helped create. Nor should it have any place in a Scottish Country Park that honours his name. Tyninghame used to be a quiet place but the Council has lost control of its heritage. They issue 100 wildfowling permits to people from outwith the Lothian and Borders area whilst providing no limit on the number of permits issued locally. This compares with the ceiling of 30 wildfowlers permitted to shoot at the neighbouring Aberlady Bay. If John Muir were to stride into John Muir House today, he would be spitting mad at having his name associated with what has become little more than a hunting reserve. It is strange indeed to permit wildfowling whilst simultaneously developing an area for walking and nature appreciation. You can’t hunt and get close to wildlife – without the patience and ingenuity of a wildfowler. It just doesn’t work. The Council needs to find a new way to manage their heritage park. Tyninghame is a unique wildlife haunt that is supposed to commemorate a unique man who dedicated his life to nature and the creation of wildlife sanctuaries where animals were afforded the right to exist without being hunted. There is an opportunity for the Council to develop John Muir County Park for nature walking, natural history exploration, birding and other country pursuits that align with John Muir’s vision. With wildfowling banned, the estuarine birds would return in greater numbers and become easier to view. As in Aberlady Bay it would be possible to walk the coastal paths watching waterfowl and waders flocking back and forth to the rhythm of the tide, or fleeing the audacious swoop of falcons, and soak in the tranquillity issuing from one of John Muir’s ‘fountains of life’. Following the example of the Scottish Seabird Centre, much could be done in the way of creative interpretation and education. For example, concealed hides that offered comfort, shelter and a quiet window on the wild might be constructed. Small skiffs running on silent battery-driven motors could take visitors into the heart of the estuary at high tide with trained guides. Live cameras could offer unique views of shelduck nesting inside rabbit burrows, woodpeckers inside tree hollows or oyster catchers hidden on the shingle. 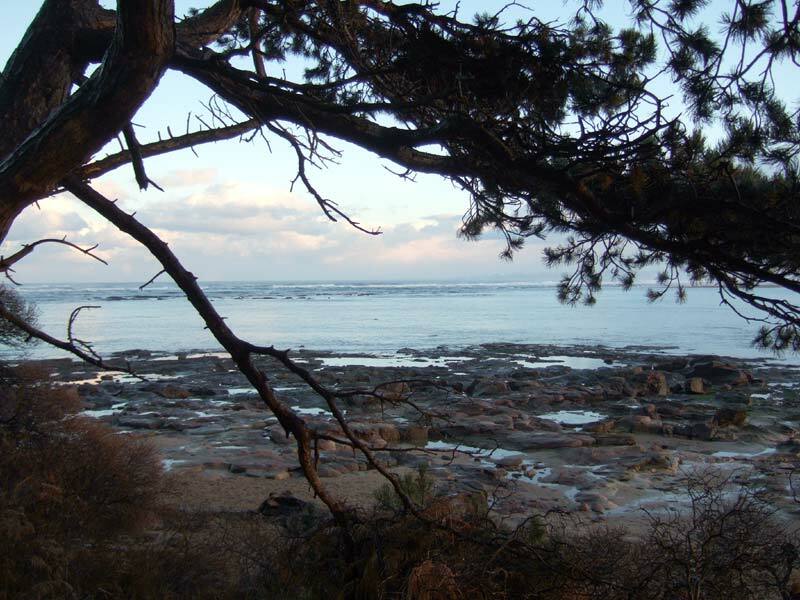 Developments like these would build on the efforts already made for restoration of the Firth of Forth as one of Scotland’s greatest coastal ecosystems and confirm East Lothian as a world-class destination for coastal conservation and nature interpretation. This entry was posted in Conflicts, Conservation, Nature, Uncategorized and tagged John Muir, Tyninghame. Bookmark the permalink.